Marine Resources Council is currently working on a two-year, legislatively funded groundwater wastewater study in collaboration with Brevard County Natural Resources Department and Applied Ecology, Incorporated. 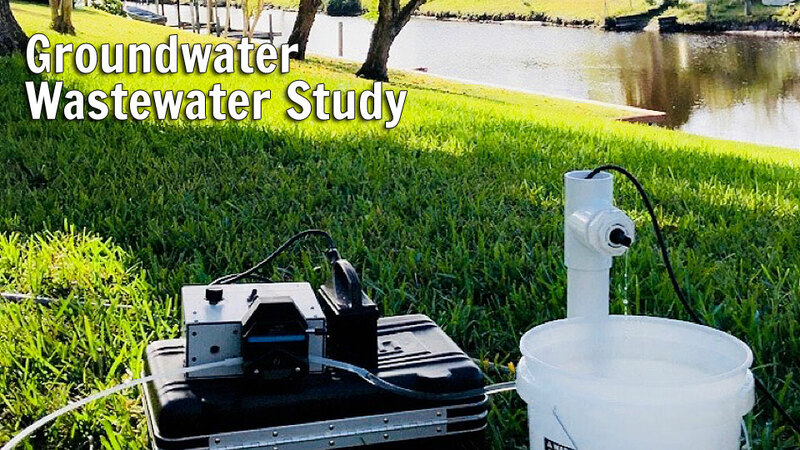 The study involves monthly sampling of 45 groundwater wells that were strategically placed in locations across Brevard County on four different types of properties near the Indian River Lagoon: natural (control), septic, sewer, and reclaimed (with sewer). Samples from these wells are sent to the lab for nutrient, bacteria, and isotope analysis. The results of this study will help Brevard County better understand how nutrients and bacteria move through groundwater and how wastewater is impacting the lagoon.